Calloway’s Nursery on the “Crape Myrtle Trails of McKinney” offers fresh, healthy plants that are perfect for your North Texas garden. Located north of McKinney Ranch Pkwy., come and find your inspiration with our curated plant selection, chosen for superior performance in Texas gardens. We can’t list every plant we carry, but you can use our online catalog of plants to get detailed information on many plants we offer. You’ll also find decorative items like fountains and imported pottery, as well as seasonal decorating ‘must haves’ like gourds and pumpkins for fall, and poinsettias and fresh Christmas trees for the holidays. In 2010, 2012, and 2013 Star Community Readers voted McKinney Best Landscaping and Garden Center. 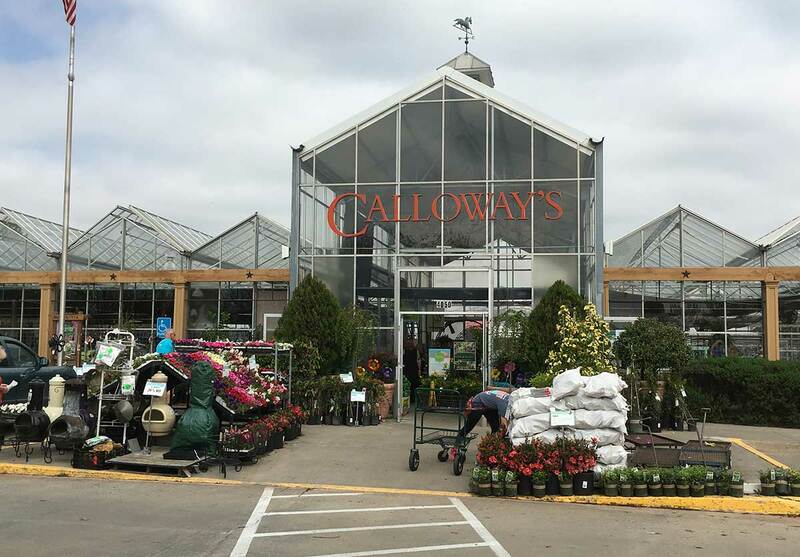 Readers of Living Magazine McKinney/Allen and Living Magazine Three-Eighty North selected Calloway’s as Best Nursery/Garden Center in 2017. "Excellent quality product and wide variety. Employees are knowledgeable and helpful. Very friendly staff. Great place to buy garden products and plants." Anita B.
Jim is a Texas Certified Nursery Professional, awarded by the Texas Nursery and Landscape Association (TNLA). Terry is a Texas Master Certified Nursery Professional, the highest level of recognition awarded by the Texas Nursery and Landscape Association (TNLA).